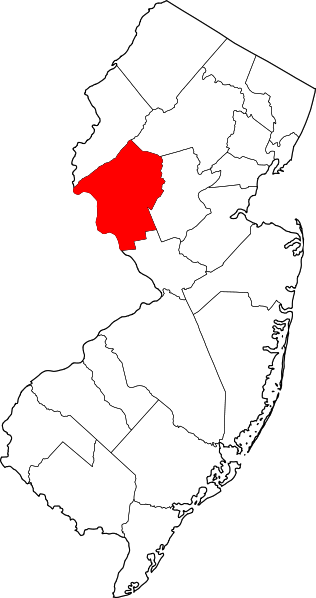 Hunterdon County is governed by a five-member Board of Chosen Freeholders. The Freeholders are the center of the legislative and administrative resonsibility in Hunterdon County. 135 acres with facilities including a meeting room, xcountry skiing, gardens, greenhouses, hiking and nature trails, hunting, nature study, picnic sites, restrooms, wedding gazebo, parking, and reservable facilities. 215 acres with facilities including mountain biking, hiking and nature trails, hunting, nature study, and parking. The Clover Hill Park & SBWMA consists of 552 acres of rolling fields, mature woodlands, and several creeks. In order to control the population of deer on park property, hunting is permitted. To hunt the County-owned portion of the park, hunters must obtain a special permit from the County. The state-owned portion is still subject to current Fish & Wildlife Rules and Regulations. Visitors during hunting season are strongly encouraged to wear blaze orange or confine their visits to Sundays . The County contracts much of the land to a local farmer. In accepting the agreement, the farmer has agreed to farm the property while complying with a management plan. Please be considerate. Stay on the trails and do not pick or damage any crops . Clover Hill Park & SBWMA are undeveloped parks. The trail system consists of old paved driveways and the farmer’s service roads. One can use the trail system to hike from Clover Hill Road across the park to Hillsborough Road in Somerset County. Mountain biking, cross-country skiing and horseback riding are all permitted uses on the trails within this park. mountain biking are permitted on the trail system. Visitors are exposed to a variety of habitats along the trail which include meadows, wooded areas, and the edge habitat between them. The relatively flat trail curves along the mountainside above the South Branch of the Raritan River for 7 miles from High Bridge north to the county line. Two bridges carry the trail over Cokesbury Road and the South Branch of the Raritan River. The latter bridge is elevated approximately 80 feet and spans a length of 260 feet over the river bottom. This bridge is located near the Ken Lockwood Gorge. Several roads bisect the park making for easy access. Benches located along the trail provide areas to rest and enjoy the scenery. The trail's natural surface allows visitors to enjoy the park in a couple of ways. Hiking is probably the most popular. The trail is wide enough to provide a great opportunity for biking as well as cross-country skiing in the winter. While the County Parks & Recreation Department only maintains the Columbia Trail within the county, the trail continues into Morris County where it ends at Bartley. The Columbia Trail forms part of the Highlands Trail which will eventually span between Hunterdon and Passaic Counties. 104 acres offering softball fields, bridle trail, x-country skiing, fishing, a fitness trail, gardens, hiking and nature trails, picnic pavilions and sites, playground area, restrooms, a wedding gazebo, parking and reservable facilities. This 353 acre park is comprised of hardwood forest, grasslands, and 32 ponds of various sizes. Hoffman Park's paved and gravel paths are excellent for bike riding and walking. The ponds offer good fishing, as well as opportunity for reflective nature study. In winter the paths provide a good place to cross country ski. With 262 acres, Jugtown Mountain offers a moderate hiking opportunity and Mountain biking as permitted uses within the preserve. In addition, there are locations where one can be treated to a view overlooking the Musconetcong Watershed. The Landsdown Trail is 1.8 miles long stretches from Lower Landsdown Road to the center of Clinton Borough. The trail's natural surface is conducive to hiking, biking, and cross country skiing. The trail traverses through both open fields and forest as well as some wetland. The trail does provide access to the South Branch of the Raritan River for fishing. The river is stocked with Rainbow, Brook, and Brown Trout. A state fishing license must be displayed. A private residence is located within the property. Therefore the house , the immediate area around it, and a portion of the driveway are off limits to the general public. Please do not encroach on this restricted area or disturb the resident. The Laport Property offers a easy loop trail through small meadows and a young wooded area. The meadow offers habitat to edge species and small meadow users, like Eastern Bluebirds. The wooded area offers shelter to many of the county’s common wildlife residents. Look for thier evidence in way of tracks, scrapings and skat. Mountain biking and other uses are not permitted on this trail. Much of the trails system of Miquin Woods consists of the old trail system created during the days of the Camp Watchung, its old name when it was a Boy Scout camp. Most of the trails are several feet wide and are very easy to hike. Biking and horseback riding is possible on most of the trail system. During the winter some of these trails can be used for cross-country skiing. Bouldering is not permitted within this park. The trails at this 424 acre park are designed for hiking only. Most of the trails range from moderate to slightly difficult. They take advantage of the smoothest grounds but are steep in some areas. They offer beautiful vistas as they wind through a wide diversity of tree species. Fishing, and Scenic Overlooks are also offered. Point Mountain , as well as, the Musconetcong Gorge, is part of the Musconetcong Mountain Range. Point Mountain, at 935 feet above sea level is the third highest point in the county. The name Point Mountain refers to the prominent crest that this property displays. The County Parks Department acquired the first tract of land in 1995. Today, the park contains over 1082 acres of prime forest, fields, streams and geological wonders. Point Mountain offers many forms of recreational activities. Visitors can hike on over four miles of trails. Horseback riding, cross-country skiing and mountain biking can be conducted on most of the trail system. Rock climbing is prohibited in the park. Trout fishing in the Musconetcong River is also very popular. The river is stocked seasonally and is a good fly fishing area. The section between Penwell and Point Mountain Roads is a Trout Conservation Area - Special Regulations apply. Point Mountain North Section is part of the Musconetcong Mountain Range. The top of the mountain is the second highest point managed by the Hunterdon County Parks Department, at 1006 feet above sea level. The park consists of 220 acres of forest and fields. The Parks Department acquired the property in smaller lots between 1997 and 2003. The area was once logged, and old logging roads are incorporated into some of the current trails. Stone walls in the park show former divisions of property lines, or the edges of animal pastures, indicating that the forest was once cleared for farming. There are four private lots along Hermits Lane , so please be respectful and stay on the trails. Hermits Lane was once a farm road that connected to Old Turnpike Road, and two stone walls that bordered the road are visible near the parking area. Today, Hermits Lane simply dead-ends. Point Mountain North Section is designed for hiking. The climb is fairly strenuous, but there is a flatter loop that can be walked through the fields and the lower wooded area. Mountain biking and horseback riding are two other options, although the trails are very rocky in certain sections. Cross-country skiing is permitted where appropriate. The reserve is 311 acres of gently rolling hills with a mixture of fallow fields, hedge-rows, and woodlands. Schick Reserve is an undeveloped park. No formal trail system exists within the reserve. The general public can hike along the edge of the fields and the farmer’s service roads. Be prepared for hiking in occasional brushy or muddy areas. Long pants and waterproof shoes are recommended. The park’s 273 acres are comprised of a deciduous forest with a swamp surrounded by two streams. This park offers easy hiking, biking, and cross-country skiing. Horseback Riding and Rock Climbing are prohibited in the preserve. The South Branch Reservation is located in Clinton, Franklin, Raritan and Readington Townships. The following park areas are located within the South Branch Reservation, with links to more information on them. This is the site of the Hunterdon County 4-H Fair. With the exception of the events that are held within the fairground section of the park, no other types of recreational opportunities are offered within the park. Teetertown Preserve's 147 acres were acquired to protect one of the most significant natural areas in Hunterdon County. This park offers the solitude of a densely wooded area, including a variety of hardwoods, shrubs, and animal life, and the contrast of a spectacular rushing stream winding its way through the ravine’s dramatic rock outcroppings. In 2004, the 233 acre, Crystal Springs Section was added, immediately across Pleasant Grove Road. 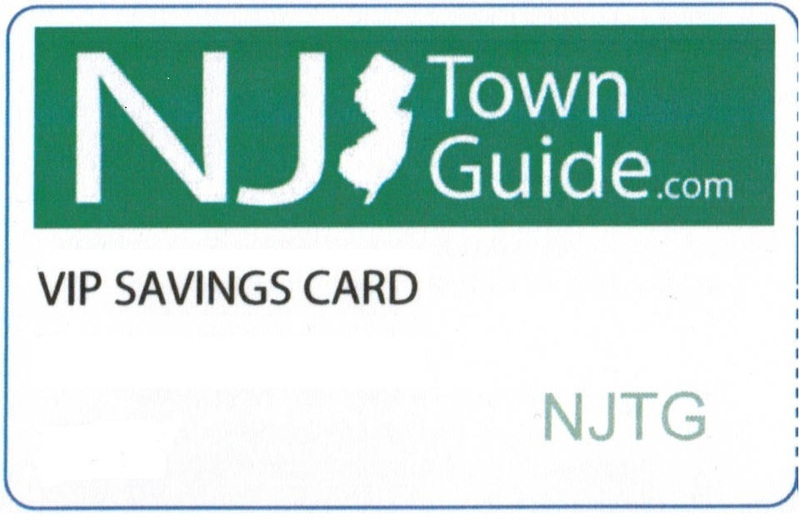 As its name implies, Crystal Spring is an important source of water for New Jersey. Its 7 ponds represent the headwaters of the Spruce Run, and is one of the primary sources for the reservoir of the same name. With the addition of smaller properties over time, the preserve now totals 686 acres. The ponds at the Mountain Farm Section are excellent for bass and bluegill fishing (catch and release only). Native trout fishing is permitted in Hollow Brook. Hunting is allowed by the Department permit only. Please wear blaze orange during hunting season, or confine your visits to weekends. Tower Hill, a former farm, is comprised of 216 acres of meadows and wetlands. There are 97 acres for Hiking and Spruce Run Creek cuts through the property and provides areas for fishing. Uplands offers a moderate 1.1 mile loop trail adjacent to the Bernadette Morales Trail System. The trail meanders through a mixture of hardwood forest, fields in natural succession, hedgerows, and thickets. The trail was constructed by Doug Pictroski of Boy Scout Troop 62 for his Eagle Project. The scout troop still maintains the trail. Wescott offers an easy to moderate 1/2 mile loop trail off of Raven Rock Road that winds through meadows and hardwoods and provides a vista over looking the Lockatong Creek. A 1.5 mile hiking trail exists from the Strimples Mill Road and connects to Mimi’s Trail which continues another mile and enters the HLTA’s Zega Tract which has a parking lot on Raven Rock Road. Fishing is permitted in the Lockatong Creek and access to the creek can be obtained from the loop trail.